On 21st September we will officially open to the public “Picasso discovers Paris” in the Museu Picasso of Barcelona. 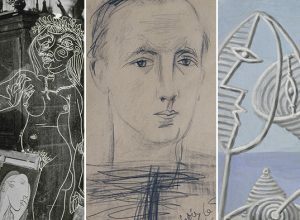 This is an exhibition that aims to transmit the impact that the French capital caused on the artist the first two times he traveled there, and which has been possible thanks to an exchange of works with the Museé d’Orsay and the Museé National Picasso-París. 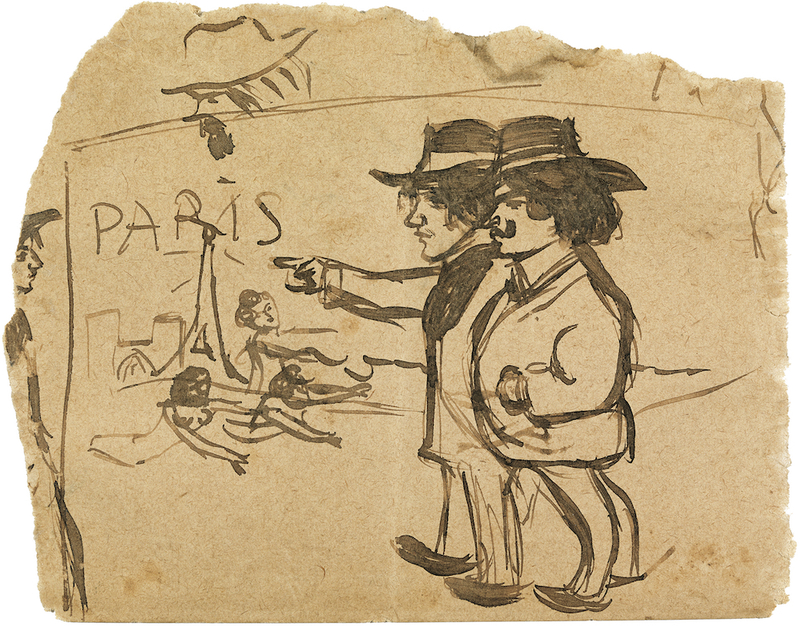 Picasso set foot in Paris for the first time in the autumn of 1900, when he was still only 19 years old. The city was in full effervescence due to the celebration of the Universal Exposition, and modern art occupied a notable position everywhere. Pictorial trends such as impressionism, Nabi or symbolism were opened up both in private galleries as well as with the posters hanging on the streets. 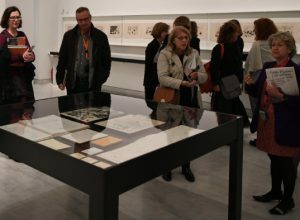 Picasso was amazed by this context and established relationships with gallery owners and dealers who allowed him to disseminate his work. Pablo Picasso: Picasso and Manuel Pallarès looking at the Eiffel Tower. Barcelona or París, 1900. Sepia wash and lead on paper. 8,8 x 11,1 cm (irregular). Museu Picasso, Barcelona. Donation Pablo Picasso, 1970. MPB 110.996. Museu Picasso, Barcelona. Photography, Gasull Fotografia. © Succession Pablo Picasso, VEGAP, Madrid 2018. 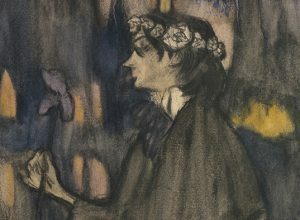 But in “Picasso discovers Paris” we have not only selected works that recreate this enthusiastic cultural life but we also stopped at a specific date: on July 15, 1901. That day, art critic Felicien Fagus published in the “Revue Blanche” a review of the exhibition “Picasso and Iturrino” that was held at the Galerie Vollard, highlighting the fact that in the works of the artist from Malaga there were influences of Delacroix, Manet, Monet, Van Gogh, Pissarro, Toulouse-Lautrec, Degas, Forain and Rops, amongst others. 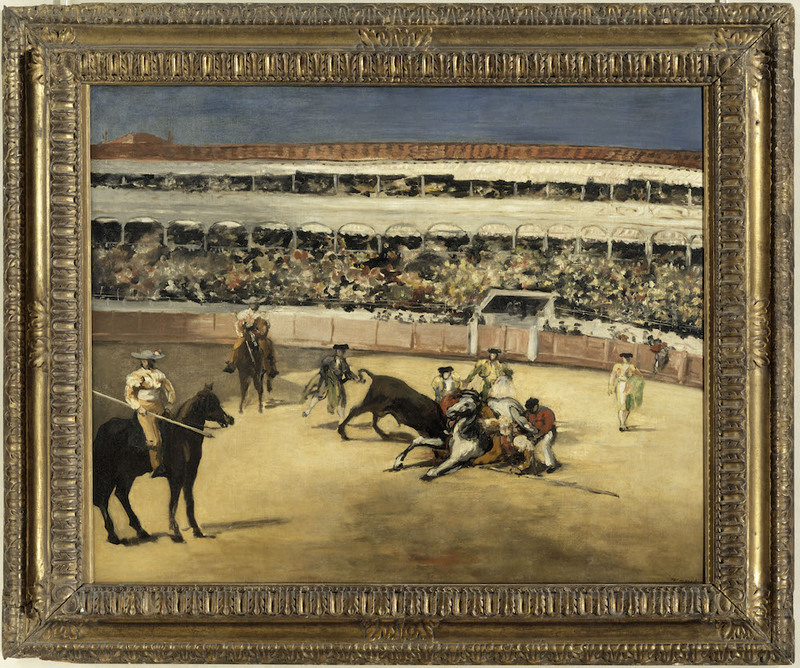 First picture: Édouard Manet: Bullfight. 1865-1866. Oil on canvas. 90 x 111 cm. Musée d’Orsay. © RMN-Grand Palais (Musée d’Orsay) / Tony Querrec / Gérard Blot / Hervé Lewandowski / Thierry Le Mage / Jean Schormans / Michèle Bellot / René-Gabriel Ojeda / Thierry Olivier. 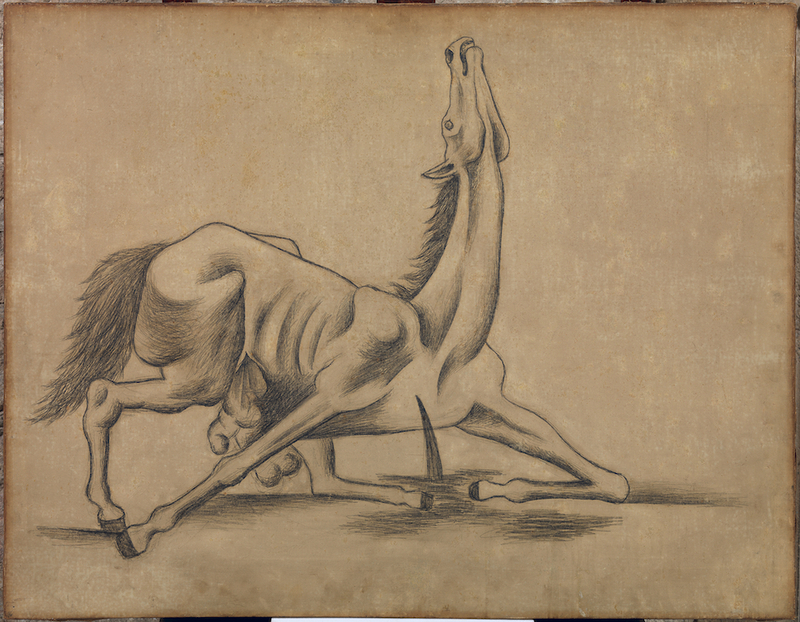 | Second picture: Pablo Picasso: Gored Horse. Barcelona, October 1917. Graphite pencil on canvas with ochre primer. 80,2 x 103,3 cm. Museu Picasso, Barcelona. Donation Pablo Picasso, 1970. Museu Picasso, Barcelona. Photography, Gasull Fotografia. © Succession Pablo Picasso, VEGAP, Madrid 2018. 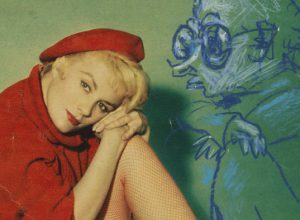 Some of these artists, and others such as Bartholomé, Carrière, Capiello, Cézanne, Steinlen or Gauguin, are represented in “Picasso discovers Paris” thanks to the loans made by the Museé d’Orsay and the Museé National Picasso-París. 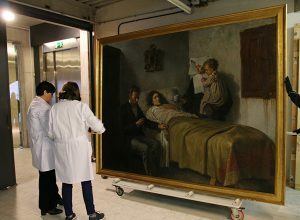 In fact, the idea was born based around the exchange of works that we carried out with these two institutions for the exhibition “Picasso bleu et rose”, which is to be inaugurated on 18th September at the Musée d’Orsay of Paris. 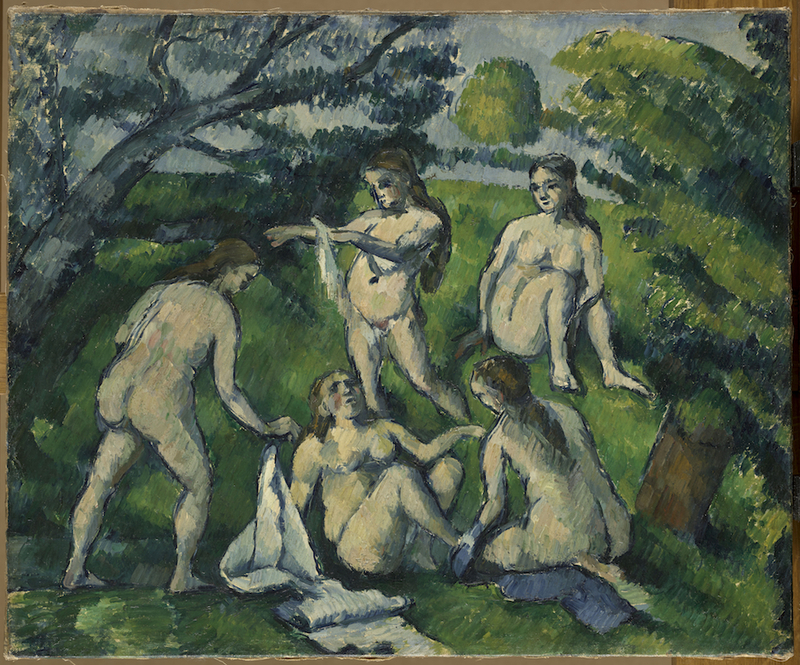 First picture: Paul Cézanne: Five Bathers. 1877-1878. Oil on canvas. 45,8 x 55,7 cm. Musée National Picasso-Paris. © RMN-Grand Palais (Musée National Picasso-Paris) / Mathieu Rabeau. 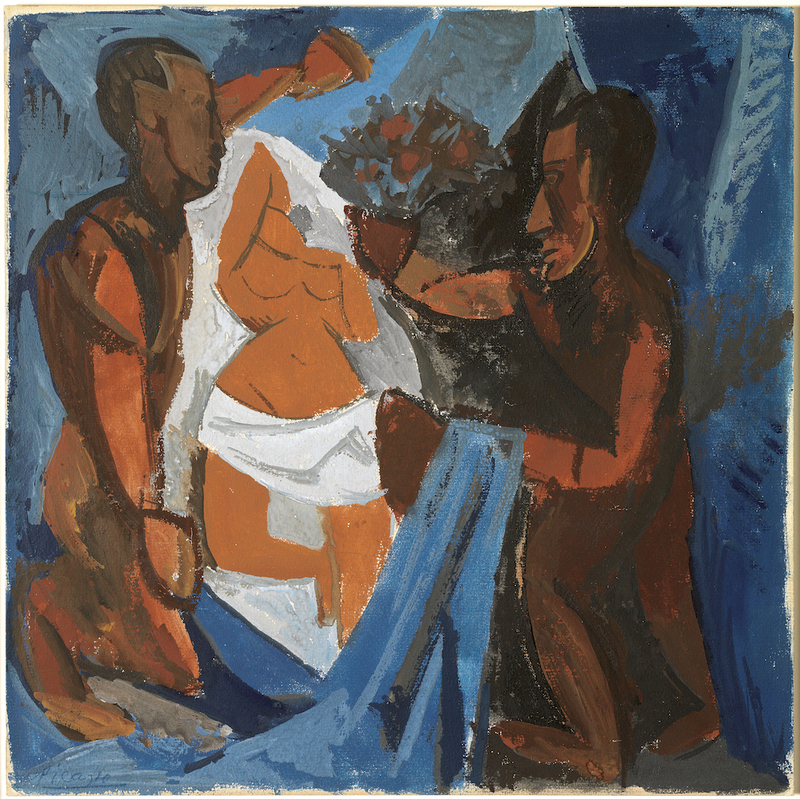 Second picture: Pablo Picasso: The Offering. Paris, 1908. Gouache on cardboard paper with white primer. 30,6 x 30,6 cm. Museu Picasso, Barcelona. Donation Lord Amulree, 1985. Museu Picasso, Barcelona. Photography, Gasull Fotografia. © Succession Pablo Picasso, VEGAP, Madrid 2018. 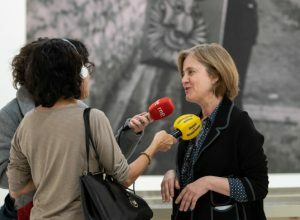 “Picasso discovers Paris” is curated by Malén Gual, conservator of the Museu Picasso of Barcelona, and it can be seen until 6th January 2019. You are invited to join us on the trip to Bohemia at the beginning of the 20th century and experience the same fascination that Picasso felt when he visited the City of Light for the first time.